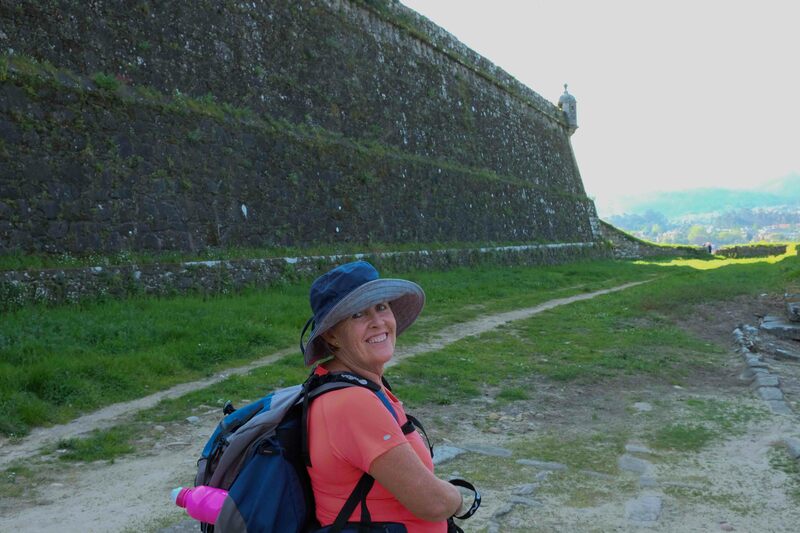 Angie and her husband Ken joined us on the recent Camino Portuguese Tour. Angie is Julie Landers’ sister. Ken and Julie’s husband Peter are great mates. Unlike Peter and Julie though, Angie and Ken had never walked a Camino before. The Portuguese Way was their first. Jennifer and I were a little concerned as to how they would manage. They’d be the first to admit that they’re no longer spring chickens. However they surprised us – in fact everyone on the tour was surprised at how well they handled what ended up being a tough little walk. Being friends of the Landers Express (the steam engines being Peter and Julie) they were unkindly dubbed by some as the Landers’ Cabooses. In fact they weren’t dragged along by the Locomotive Express (to use phraseology from Jethro Tull), they didn’t coast in anyone’s slipstream. They nailed it each day – keeping up with Peter and Julie, which was no mean feat, let me tell you. I couldn’t keep up with the Landers Express. Ken too suffered from a gammy knee, yet he never complained, and he never allowed it to slow him down. You never saw him in the van. Ken and Angie were impressive pilgrims. I am writing as a guest blog writer, invited by Bill to put pen to paper about my journey on the Camino Portugese in April this year. I was quick to tell Bill at the time that I am more into report writing and parenting articles, (my paid job involved a lot of report writing /parenting articles and I actually was very good at these genres I must say), and I am not sure about putting myself out there and inwardly thinking, OMG Bill how can I possibly write anywhere near the standard of humour and creativity that you seem to manage late at night or early in the morning after a long day of walking. Yes Bill I’ve seen the tired Bill the next morning at breakfast!! Since accepting Bill’s invitation, I have done lots of mental writing, (like mental planning I always did at work), and that has taken me quite a long time intermixed with can I do this? I have come to the conclusion I can and I am! Why did I go on The Way? I went because my sister Jules and brother-in-law Peter rang and said that there were some spots still and would Ken (my wonderful husband), and I like to join them with the small group walking from Porto to Santiago de Compostela.We said yes quite quickly and before we knew it, we were thrust into a world of hiking boots, backpacks, walking clothes, bamboo socks and merino wool underwear!! We started training with walking poles in the heat of summer that can only be found in Queensland and thought that nothing could be as bad weather wise in Portugal and Spain! After buying 2 pairs of walking boots and paying the Podiatrist lots of money for shoe inserts I was relatively ready for the Camino challenge, at least gear wise. A big part of me was worrying about whether I could walk the long kilometres everyday and whether I could walk up the hills!! Was I fit enough? Another preparation was reading Bill’s book, “The Way, My Way” to get to know a bit about this fellow who had organised this walking tour. It was an entertaining read and I wondered whether pain was a part of the Camino. Bill certainly had plenty of it. Discovering that Bills’ wife Jennifer read weird and wacky books like me had me overly excited, wow Jennifer was a like-minded person. 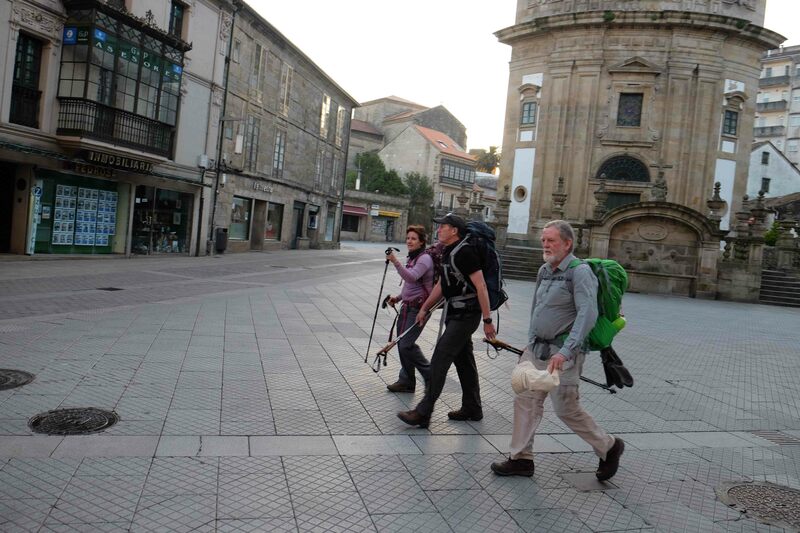 One of the questions I asked a couple of fellow travellers – Arleen and Steve at dinner the first night was,( good way to get to know them I thought), ‘Why do people walk the Camino?” I did not get a definitive answer! I heard that many pilgrims keep why they walk to themselves, many do not talk about why. That gave me food for thought as I was tossed into a world of what mattered the most in life on the Camino and that was walking from one place to another, washing, drinking beer, sangria, wine, eating and sleeping. What I found was that I actually could do the walking, even up the hills, I could drink coffee as small espresso shots (and this is someone who only drank latte) I could walk with the pain of terrible stingy blisters and very very sore feet and I could use the bushes when there was no bathroom along the tracks. Donna takes credit for teaching me that little skill. What else I learned on The Way was the laughter, and conversation topics (like a coffee table picture book with Greg), the fun getting to know my companions, the importance of sharing everyone’s experiences, the increased level of caring for everyone as we all journeyed onwards together. What I learned as we walked was to stop asking, how much further (we are all in the same boat), and not to talk about food so much. Feedback from Jules and Donna (at Changi Airport Singapore) has been processed. What I also learned and valued was Catarina our lovely young driver of the support van who gave me some jump starts and who came to get me when I was lost one day and another memorable day when many of us pilgrims followed the wrong yellow arrows and needed a lift to the hotel. I learned especially that we give on the Camino and help each other. Thank you Marie for helping me find a Podiatrist, and for speaking Spanish. What did I learn from my journey on the Camino? No matter how much I tried to put into words what I got out of my journey, remembering what was said on that first night by Arlene and Steve, reading what my fellow travellers have said and what Bill says about the spirit of the Camino and the special bonding with the friends we make for a lifetime, I concluded that I cannot put into words what the Camino meant to me. I only know that I have something inside me that was not there before; it is a beautiful feeling, a spiritual energy, a connection to The Way a bonding to my friends who walked with me and a deep desire to go back and walk the Camino again. You got a lot out of the Camino as we all did. But you also gave a lot. I’m forever grateful for our walks and our chats and laughs. We will have to arrange another walk together. 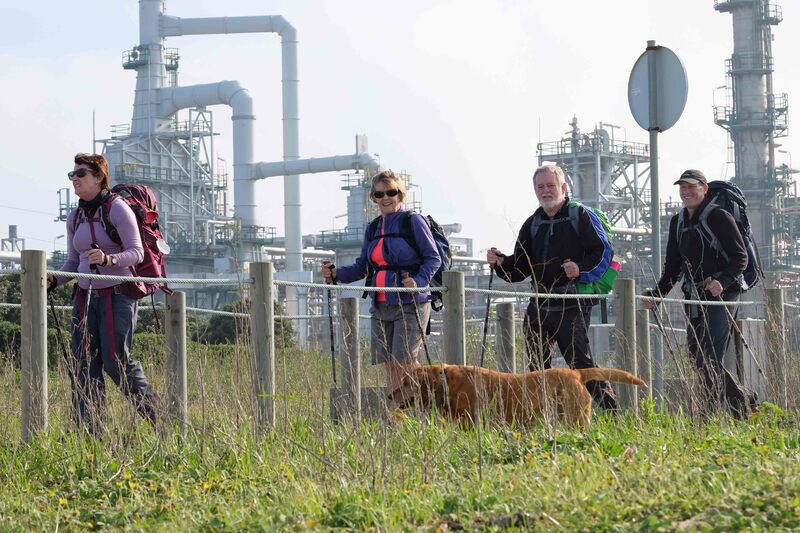 lovely writing that your post, brought tears in my eyes particularly the last sentence “I CONCLUDED THAT i CANNOT PUT IN WORDS WHAT THE cAMINO MEANT TO ME” ME NEITHER BUT IT IS SO STRONG , SO POWERFUL FOOTPRINT. You saiid : there is something inside that was not there before ” I can relate to that and that somethins changed my life for ever. 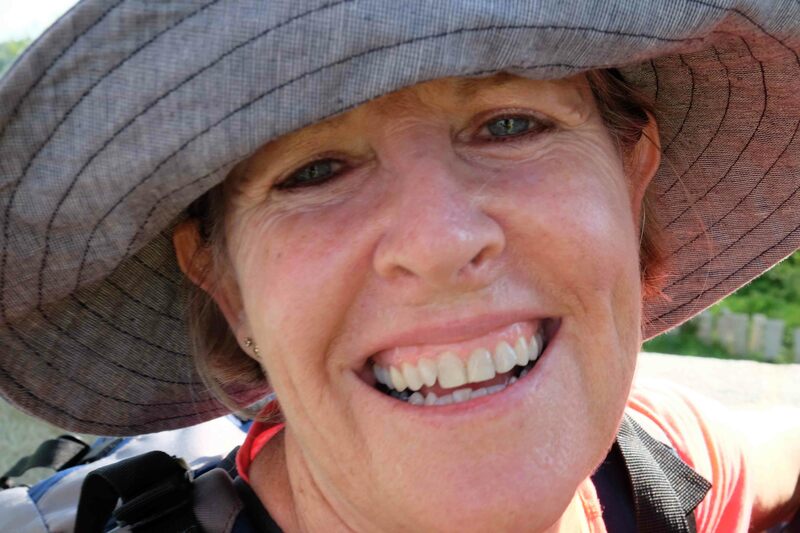 So very nice to read your words Donna and Marie and I am sure we will all walk again. The Camino has its own way of working. Hi steve, nice to hear from you. Ken got his man hug and he says hello. Beautiful post, Angie! So glad you were able to make this journey. So true about not being able to put into words what the Camino meant. I’m hoping to go again and maybe figure out some of it. There is something very powerful drawing both my husband and I back. Hi Angie – a beautiful post. I feel much as you do about what you share when you walk with a small group – that incredible sharing is just the start. 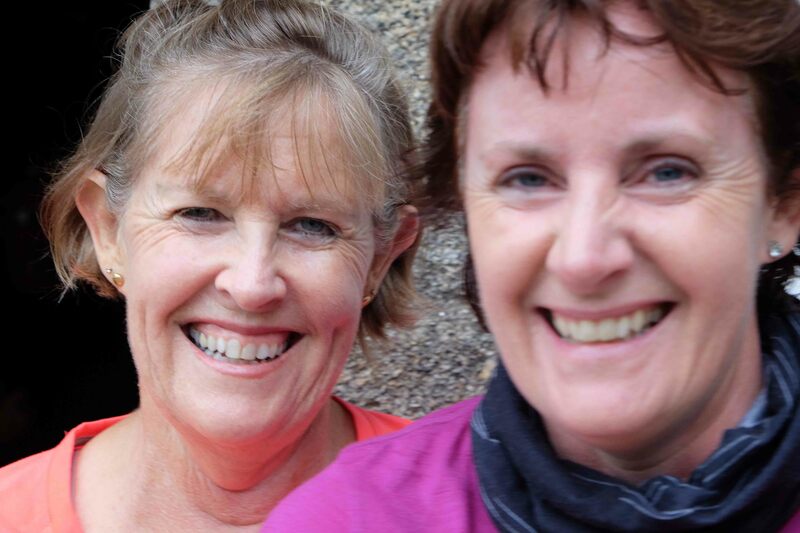 Britta and Janet will confirm what I’m saying – we walked with a small group in 2012 from Leon to Santiago and although the door to the Camino was opened for me many years before by reading several Camino memoirs, the door basically flew off its hinges when I first stepped on those ancient paths. Wow! It’s a well-known saying that your Camino starts when you return home … this is so true … I now look at the world through ‘Camino eyes’, as I’m sure you do. Why else do we yearn to go back again and again?